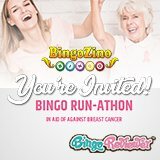 We all know about the worldwide popularity of online bingo. Yet, such popularity carries its burdens, one of which is overcoming language barriers and enabling players from different nations to enjoy all the advantages of playing in an online bingo room to the maximum. There’s much more to online bingo than just wagering and waiting for numbers to come out. First of all, you may have a question about a bonus, rules of a game, or the payment options supported by a particular bingo room. Then, you may encounter a problem with your account that you may need to report. And this is precisely the moment when you may stop and find yourself in trouble if you’re not very fluent in English and it turns out to be the only language available to you for communication in the bingo room. That is where the need arose to introduce other, most wanted languages into bingo rooms’ offering, with an aim to improve communication and make it easier for players to transfer their message adequately. 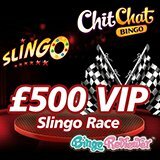 One reason we have already given – even though it is obvious that English is the most commonly spoken language in the world, and is thereby used by virtually all online bingo rooms, it may also represent an impediment to those who are not very fluent at it. This especially works for all those extensive terms and conditions related to bonuses or general T&Cs. And in order to understand all these properly, we may need to read it all in our own language. Another reason, and probably the most significant one for the introduction of multiple languages into more and more bingo rooms is to relieve customers of all stress related to communication barriers. Imagine yourself in such a position – you want to play, but you don’t exactly understand the rules and cannot figure everything out because it’s not explained in your language. You would hesitate to deposit there in that case, right? Luckily, and to mutual satisfaction, online bingo operators have realized this soon enough and began translating their websites and employing knowledgeable customer support staff to help their customers out. And finally, multiple languages on bingo sites provide operators with a chance to target a specific market and increase their player pool by making their offering more approachable. Having in mind how important it is for players to find all the info they need before they start wagering, Bingo Reviewer has made yet another attempt at providing all the valuable info to its visitors. 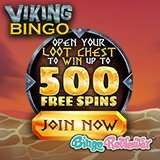 On this page you will find a list of languages supported by different online bingo rooms. Just click the blue button next to your preferred language and you’ll be presented to a selection of online bingo rooms supporting the language. 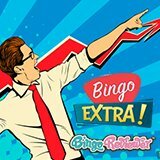 This way we at Bingo Reviewer hoped to narrow down your selection and save a lot of your time, at the same time enabling you to enjoy your favorite bingo games faster.